Albutt has introduced a wider version of its widely used high capacity buckrake with Hardox tines. The new model is 12 feet wide and is designed to be used with high horse power tractors and wheeled loaders. Providing users with faster clamping speeds and operating cost savings. The design features 14 Hardox high tensile steel tines, with a length of 1.65m. Albutt can supply this new attachment for use with front or rear 3 point linkage and wheeled loaders. 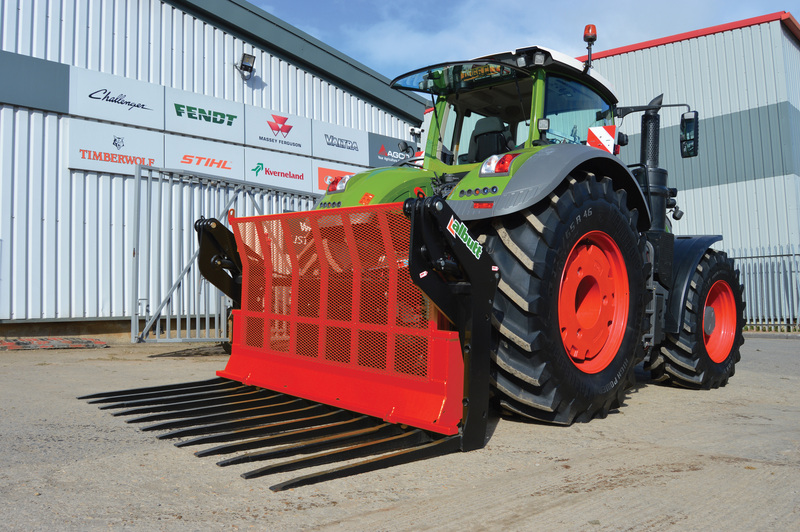 Visit the Albutt stand at Grassland & Muck, 24th & 25th May Stoneleigh, stand 810. Examples of Albutt buckrakes will be operating on the clamp.